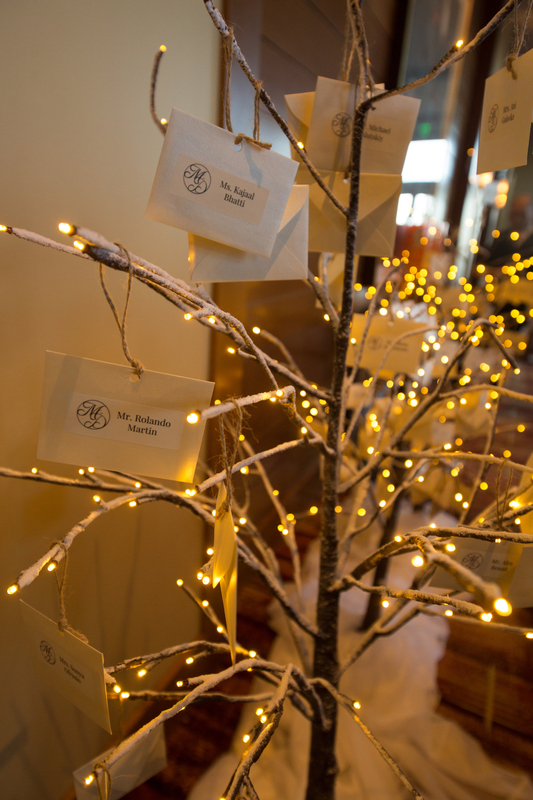 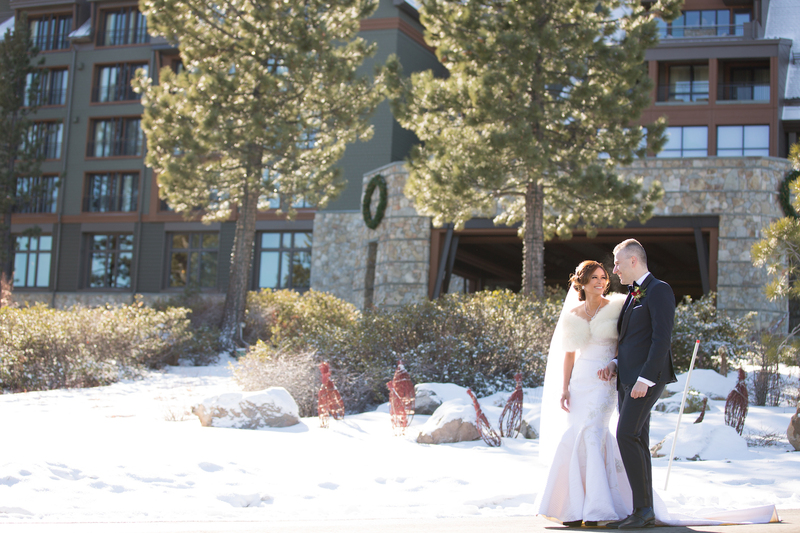 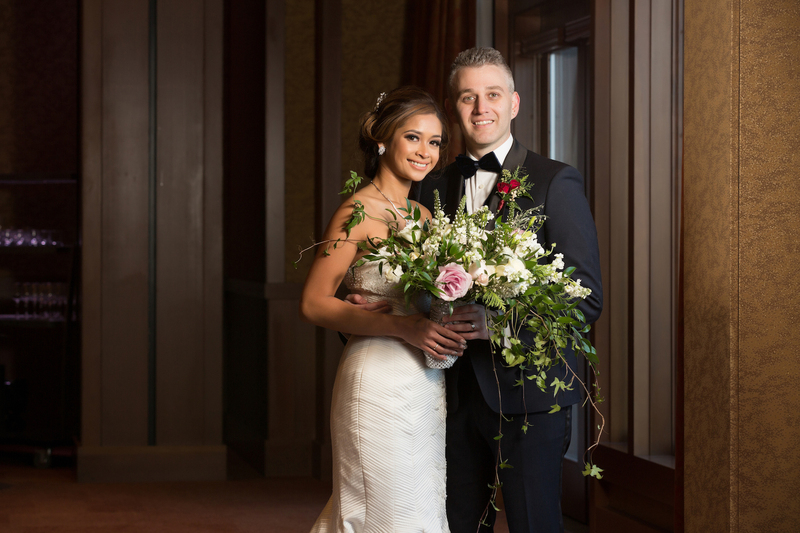 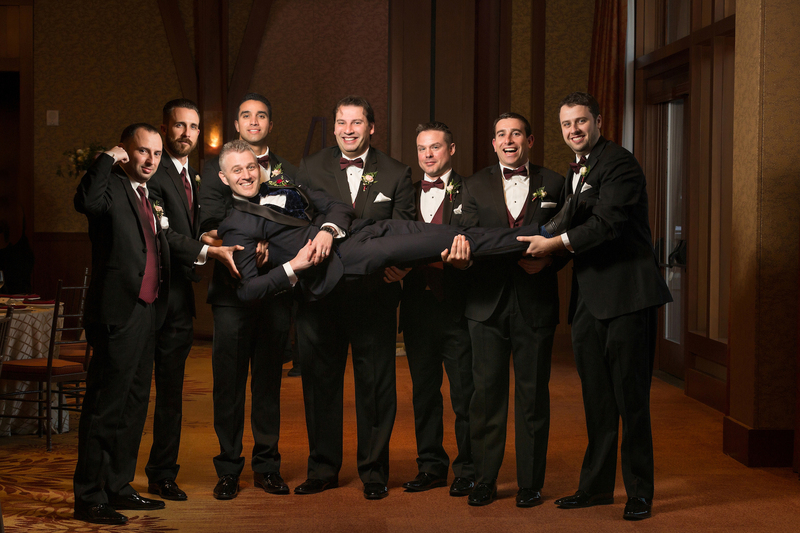 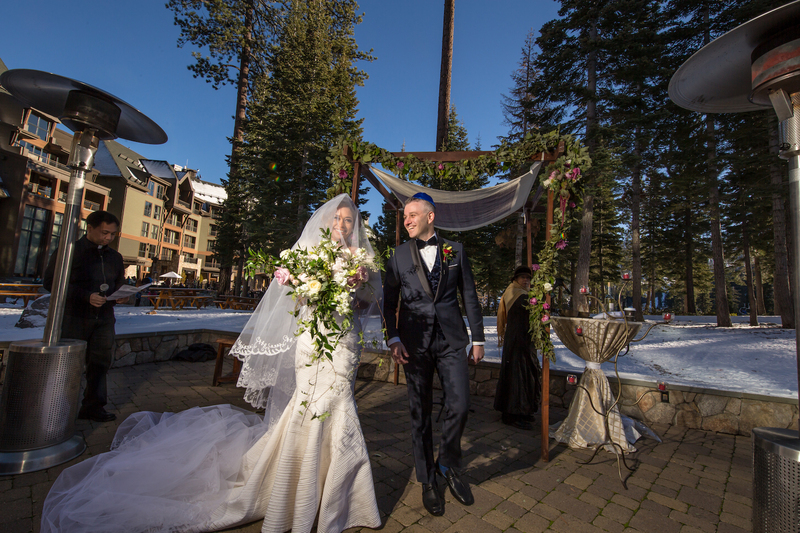 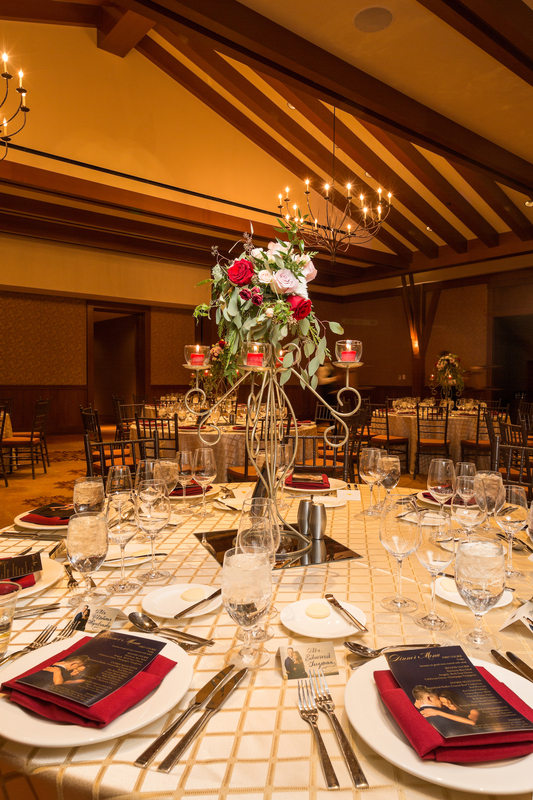 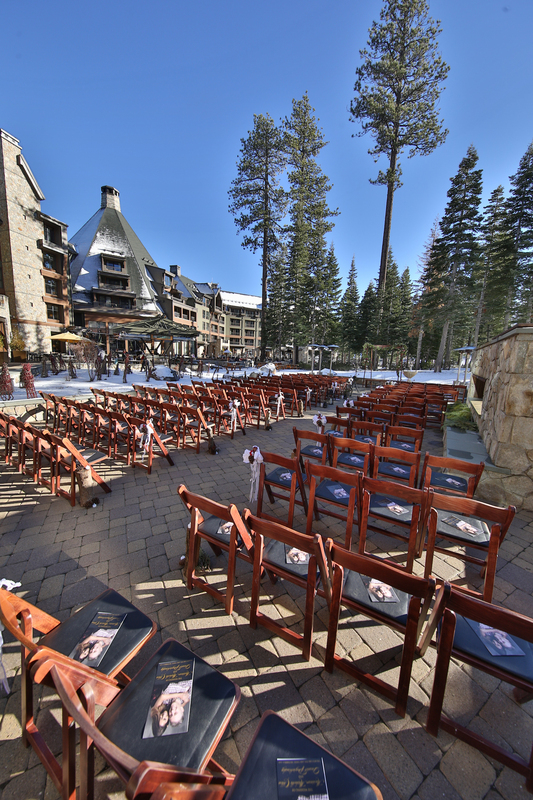 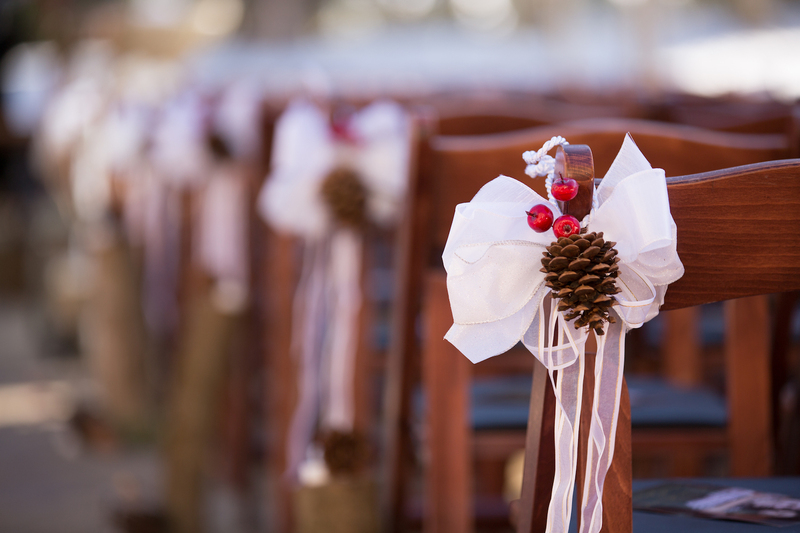 This black-tie winter wedding at the Ritz Carlton in Lake Tahoe is dreamy winter’s day. 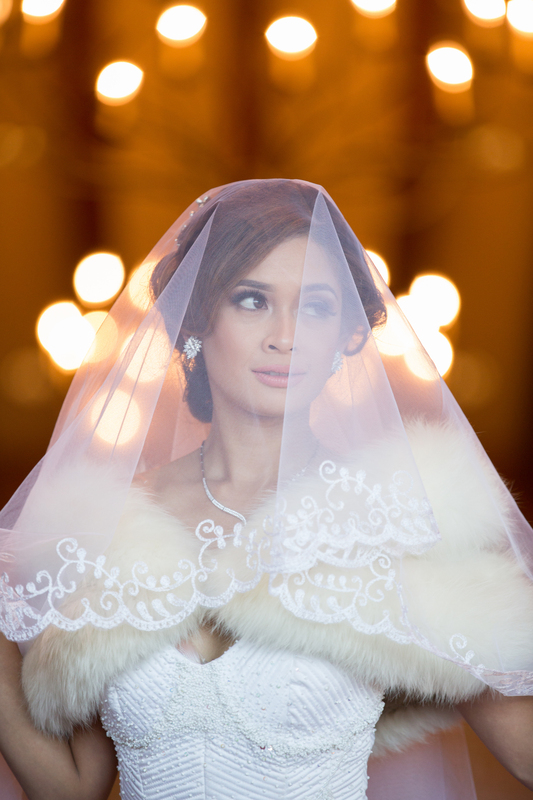 The bride, is a former Miss Philippines. 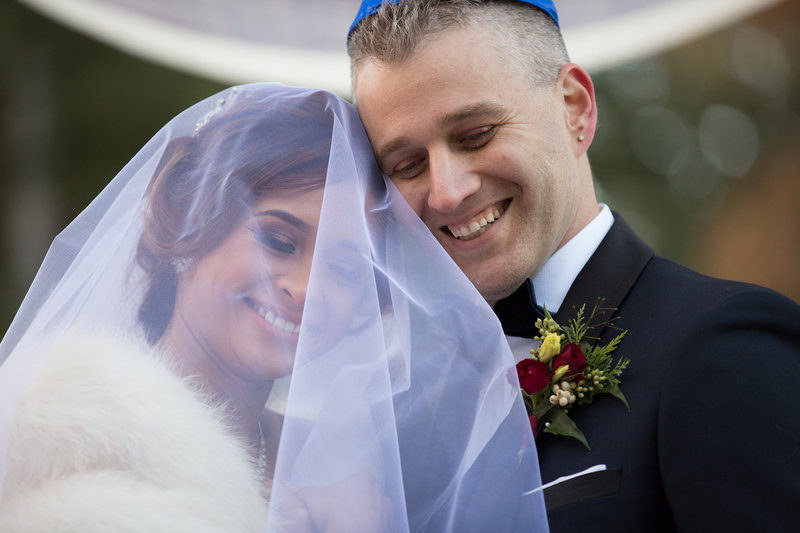 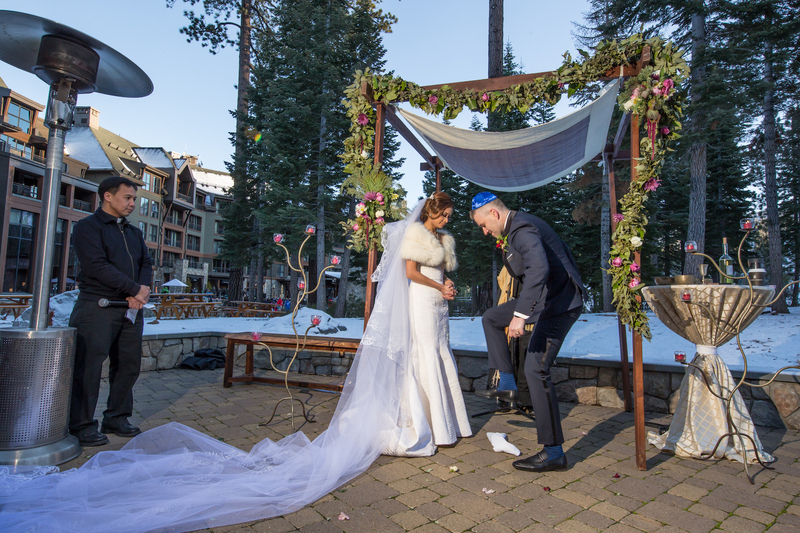 The Jewish wedding was outdoors despite the chill. 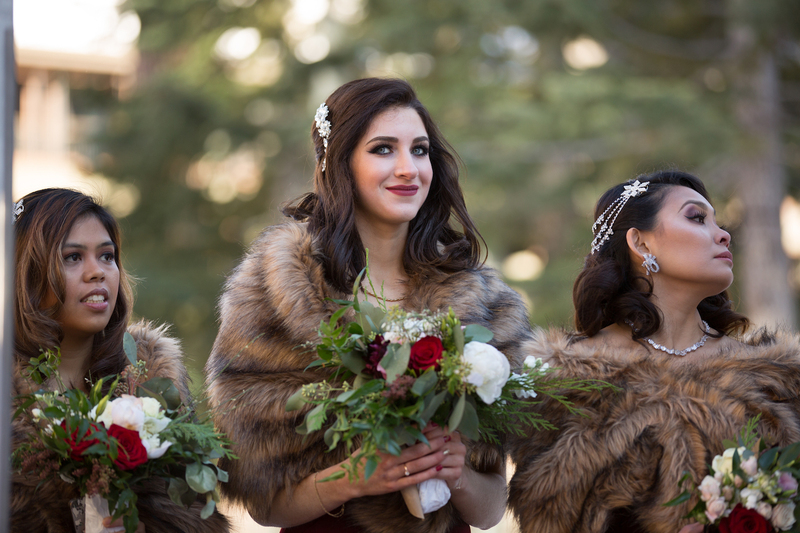 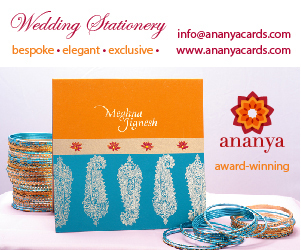 Elegant wedding party attire with the bride and bridesmaids in wraps. 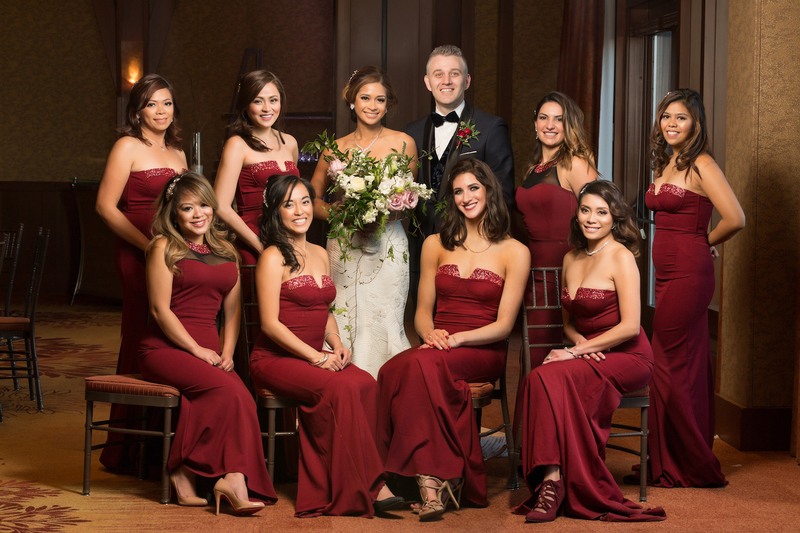 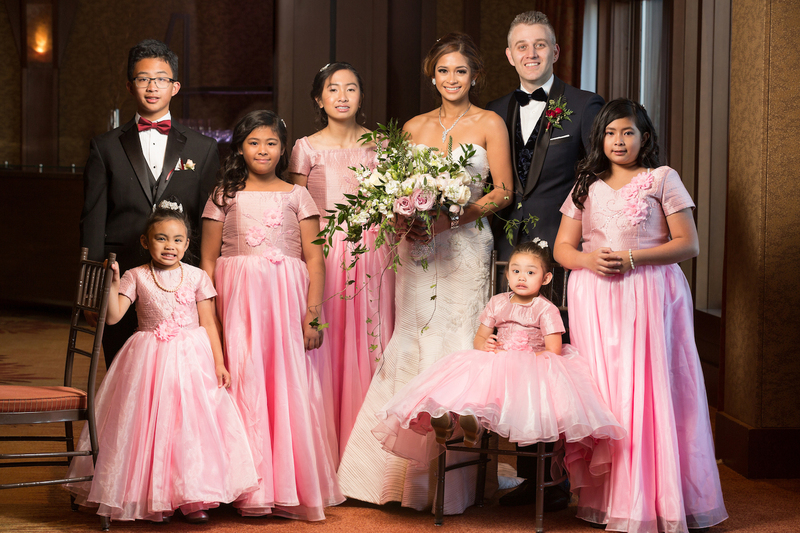 Flower girls wore pink and bridesmaids maroon. 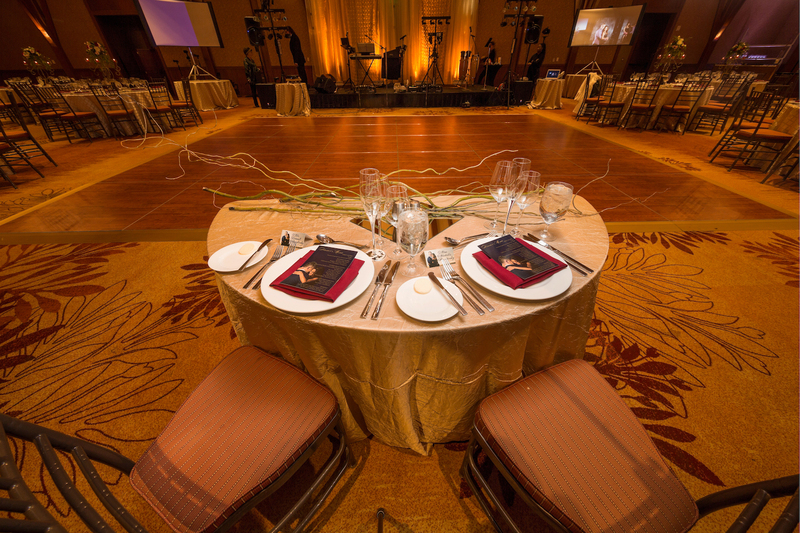 It was a swanky affair!